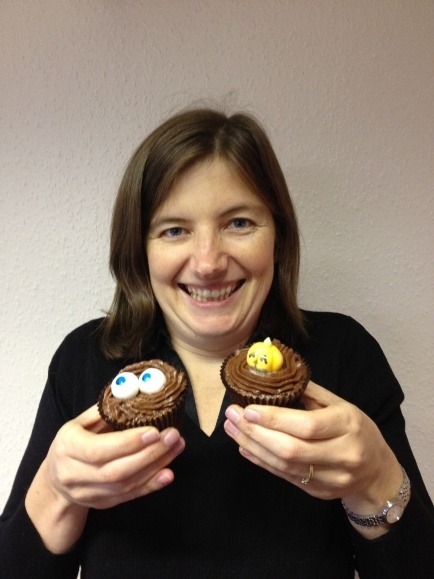 A North Yorkshire accountancy firm is urging businesses and individuals to “eat cake” in the final days of a charity challenge. CCF Accountancy has even changed its name to “Crispies, Cupcakes and Flapjacks” for the You’re Inspired challenge, which is raising money for Saint Michael’s Hospice. The team has been baking furiously ever since to fulfil customers’ orders in the challenge, which sees organisations compete to raise the most money in a month. “We’ve been surprised by the fantastic response we’ve had so far to our fundraising – and a lot of people have complimented us on the cakes we’ve been making. To mark the success of the project so far, CCF is inviting clients, friends and anyone who wants to support Saint Michael’s to an event in Harrogate on Friday, October 25. Co-hosted by Berwins Solicitors, the event will see CCF unveil some special Halloween cakes designed and made by the talented team. As well as enjoying post-work drinks, anyone who comes to the event at The Den in Cambridge Crescent can take part in a business card draw for some fantastic prizes. You’re Inspired is an annual challenge which raises money for Saint Michael’s Hospice. Groups of colleagues and friends are given a £100 starter fund and asked to raise as much money as possible through an entrepreneurial scheme of their choice during October.